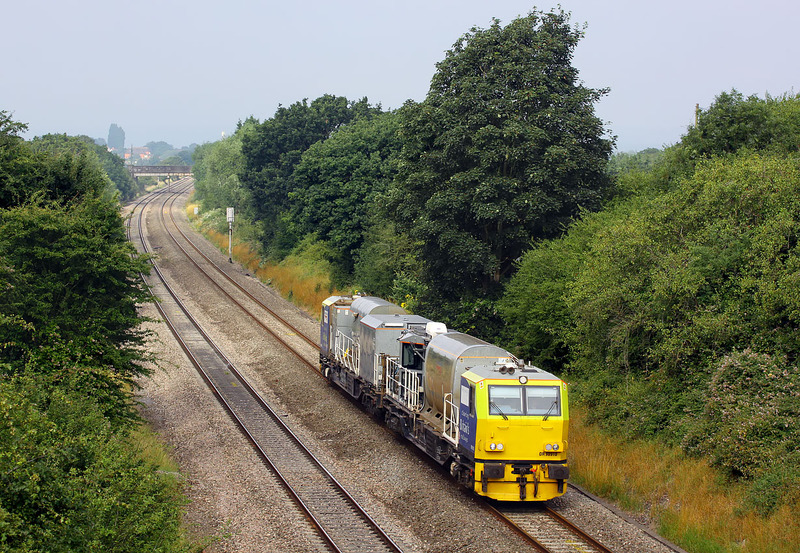 Network Rail MPVs DR98910 & DR98960 pass Up Hatherley on 23 July 2016, running as the 06:45 Margam to Kings Norton On Track Plant Depot. It was a completely cloudless morning when I left home, but the sun disappeared as I crossed the Cotswolds, to be replaced by thick fog. Luckily there was no fog here, just lots of cloud! Fortunately the sun soon started to break through.